While nearly 10% of middle-age adults in China have high risk for cardiovascular disease, only 0.6% of these high-risk individuals use statins and 2.4% take aspirin, a national screening project reported in the Annals of Internal Medicine. He suggested initially this will include patients with familial hypercholesterolemia and only those with established atherosclerotic CVD whose LDL-C remains unacceptably high despite therapy. Future FOURIER subanalyses may define other eligible high-risk groups. To determine whether this experience is happening nationwide, Navar and colleagues examined first PCSK9 prescriptions in 45,029 patients (median age 66 years; 51% female) between August 1, 2015 and July 31, 2016 in the Symphony Health Solutions database, which covers 90% of retail, 70% of specialty, and 60% of mail-order pharmacies in the US. Nearly half (48%) of prescribers were cardiologists, and 37% were general practitioners. Most patients (52%) had government insurance, typically Medicare, and 40% had commercial insurance. In the first 24 hours after being submitted to the pharmacy, 79.2% of prescriptions were rejected. Ultimately, 52.8% of all PCSK9 prescriptions were rejected. Of special note, 34.7% of prescriptions for the pricy lipid-lowering drugs were abandoned at the pharmacy. Newer cholesterol-lowering drugs combined with more conventional medicine reduces bad cholesterol to incredibly low levels, a new study shows. Perhaps even more important, the combination also reduces the heart-attack-inducing plaque that forms inside the arteries, the study says. The study was led by cardiologist Steven Nissen, MD, Chairman of Cardiovascular Medicine at Cleveland Clinic. Results appeared recently in the Journal of the American Medical Association (JAMA). The study looked at the use of a drug called evolocumab by people who took statins to lower the amount of LDL, or bad, cholesterol in their blood. Evolocumab is a drug called a PCSK9 inhibitor. This is a newer kind of medicine that can make LDL cholesterol levels plummet. The people who took statins and evolocumab had greater reductions in atherosclerosis compared with people who took statins and a placebo. Atherosclerosis is a disease in which plaque builds up inside your arteries. The condition can lead to serious problems, including heart attack, stroke, or even death. The results are an intriguing indicator — rather than definite proof — that evolocumab may have benefit for patients taking statins, Dr. Nissen says. Researchers are still awaiting the results of large clinical trials investigating whether evolocumab is safe and will prevent heart attack, stroke or death. The first results of these studies are expected in April 2017. In the study, researchers treated for 18 months 968 high-risk people who had extremely high levels of blood cholesterol. Participants were randomly assigned to take either a statin and a placebo, or a statin and evolocumab. Researchers monitored the participants’ cholesterol levels. They also used a special ultrasound probe to measure the amount of plaque in their arteries at the beginning and the end of the study. Results show the group treated with statins and a placebo reduced their LDL cholesterol levels to 93 on average. At the same time, the group treated with the combination of the statin plus evolocumab got down to an average bad cholesterol level of 36.6. “No one’s ever reached levels that low in a clinical trial,” Dr. Nissen says. Participants who took evolocumab also had less plaque in their arteries at the end of the study — essentially reversing their heart disease. PCSK9 inhibitors, which are expensive, are not for everybody, Dr. Nissen says. Currently, the drug is used in addition to statins for the highest-risk patients with particularly high cholesterol. On the heels of new guidelines casting doubts on a much-hyped new class of cholesterol drugs, the FDA said it would not demand long and costly outcomes trials before approving PCSK9 treatments from the likes of Amgen ($AMGN), Sanofi ($SNY) and Regeneron ($REGN), clearing the way for treatments expected to rake in up to $3 billion a year. As Bloomberg reports, the FDA plans to stick to its guns in vetting cardiovascular drugs, looking at reductions in LDL cholesterol and blood pressure as surrogate endpoints for long-term health benefits. That’s a relief for the developers of PCSK9-targeting drugs, who have faced mounting uncertainty about what they’ll need to do to get their would-be blockbusters to market. Partners Sanofi and Regeneron lead the pack with the promising alirocumab, followed by Amgen, Pfizer ($PFE) and numerous others. But while PCSK9 developers may not have to worry about new regulatory hurdles, what’s good enough for the FDA won’t necessarily sway payers, and the billion-dollar sales estimates tied to PCSK9 drugs are contingent on widespread adoption. With that in mind, Pfizer is plotting a massive, 22,000-patient outcomes trial, looking to demonstrate the PCSK9-targeting RN-316’s ability to improve cardiovascular health in the long run, a move that may spur its competitors to follow suit. And the FDA’s conventional wisdom on cardiovascular endpoints may not stand pat. Eric Colman, a deputy director at CDER, told Bloomberg the agency is keeping a close eye on a post-market study of Merck’s ($MRK) Vytorin, and if the drug’s LDL-lowering ability doesn’t translate to lower rates of cardiovascular events, it may well rethink its requirements. A mutation that gives people rock-bottom cholesterol levels has led geneticists to what could be the next blockbuster heart drug. When Sharlayne Tracy showed up at the clinical suite in the University of Texas (UT) Southwestern Medical Center in Dallas last January, the bandage wrapped around her left wrist was the only sign of anything medically amiss. The bandage covered a minor injury from a cheerleading practice led by Tracy, a 40-year-old African American who is an aerobics instructor, a mother of two and a college student pursuing a degree in business. “I feel like I’m healthy as a horse,” she said. Indeed, Tracy’s well-being has been inspiring to doctors, geneticists and now pharmaceutical companies precisely because she is so normal. Using every tool in the modern diagnostic arsenal — from brain scans and kidney sonograms to 24-hour blood-pressure monitors and cognitive tests — researchers at the Texas medical centre have diagnostically sliced and diced Tracy to make sure that the two highly unusual genetic mutations she has carried for her entire life have produced nothing more startling than an incredibly low level of cholesterol in her blood. At a time when the target for low-density lipoprotein (LDL) cholesterol, more commonly called ‘bad cholesterol’, in Americans’ blood is less than 100 milligrams per decilitre (a level many people fail to achieve), Tracy’s level is just 14. A compact woman with wide-eyed energy, Tracy (not her real name) is one of a handful of African Americans whose genetics have enabled scientists to uncover one of the most promising compounds for controlling cholesterol since the first statin drug was approved by the US Food and Drug Administration in 1987. Seven years ago, researchers Helen Hobbs and Jonathan Cohen at UT-Southwestern reported1 that Tracy had inherited two mutations, one from her father and the other from her mother, in a gene called PCSK9, effectively eliminating a protein in the blood that has a fundamental role in controlling the levels of LDL cholesterol. African Americans with similar mutations have a nearly 90% reduced risk of heart disease. “She’s our girl, our main girl,” says Barbara Gilbert, a nurse who has drawn some 8,000 blood samples as part of Cohen and Hobbs’ project to find genes important to cholesterol metabolism. Of all the intriguing DNA sequences spat out by the Human Genome Project and its ancillary studies, perhaps none is a more promising candidate to have a rapid, large-scale impact on human health than PCSK9. Elias Zerhouni, former director of the US National Institutes of Health (NIH) in Bethesda, Maryland, calls PCSK9 an “iconic example” of translational medicine in the genomics era. Preliminary clinical trials have already shown that drugs that inhibit the PCSK9 protein — used with or without statins — produce dramatic reductions in LDL cholesterol (more than 70% in some patients). Half-a-dozen pharmaceutical companies — all aiming for a share of the global market for cholesterol-reducing drugs that could reach US$25 billion in the next five years according to some estimates — are racing to the market with drugs that mimic the effect of Tracy’s paired mutations. Stephen Hall talks about Sharlayne’s unusual condition and whether similar cases might lead to a new line of drugs. Zerhouni, now an in-house champion of this class of drug as an executive at drug firm Sanofi, headquartered in Paris, calls the discovery and development of PCSK9 a “beautiful story” in which researchers combined detailed physical information about patients with shrewd genetics to identify a medically important gene that has made “super-fast” progress to the clinic. “Once you have it, boy, everything just lines up,” he says. And although the end of the PCSK9 story has yet to be written — the advanced clinical trials now under way could still be derailed by unexpected side effects — it holds a valuable lesson for genomic research. The key discovery about PCSK9‘s medical potential was made by researchers working not only apart from the prevailing scientific strategy of genome research over the past decade, but with an almost entirely different approach. Cardiovascular disease is — and will be for the foreseeable future, according to the World Health Organization — the leading cause of death in the world, and its development is intimately linked to elevated levels of cholesterol in the blood. Since their introduction, statin drugs have been widely used to lower cholesterol levels. But Jan Breslow, a physician and geneticist at Rockefeller University in New York, points out that up to 20% of patients cannot tolerate statins’ side effects, which include muscle pain and even forgetfulness. And in many others, the drugs simply don’t control cholesterol levels well enough. The search for better treatments for heart disease gained fresh impetus after scientists published the draft sequence of the human genome in 2001. In an effort to identify the genetic basis of common ailments such as heart disease and diabetes, geneticists settled on a strategy based on the ‘common variant hypothesis’. The idea was that a handful of disease-related versions (or variants) of genes for each disease would be common enough — at a frequency of roughly 5% or so — to be detected by powerful analyses of the whole genome. Massive surveys known as genome-wide association studies compared the genomes of thousands of people with heart disease, for example, with those of healthy controls. By 2009, however, many scientists were lamenting the fact that although the strategy had identified many common variants, each made only a small contribution to the disease. The results for cardiovascular disease have been “pretty disappointing”, says Daniel Steinberg, a lipoprotein expert at the University of California, San Diego. More than a decade earlier, in Texas, Hobbs and Cohen had taken the opposite tack. They had backgrounds in Mendelian, or single-gene, disorders, in which an extremely rare variant can have a big — often fatal — effect. They also knew that people with a particular Mendelian disorder didn’t share a single common mutation in the affected gene, but rather had a lot of different, rare mutations. They hypothesized that in complex disorders, many different rare variants were also likely to have a big effect, whereas common variants would have relatively minor effects (otherwise natural selection would have weeded them out). “Jonathan and I did not see any reason why it couldn’t be that rare variants cumulatively contribute to disease,” Hobbs says. To find these rare variants, the pair needed to compile detailed physiological profiles, or phenotypes, of a large general population. Cohen spoke of the need to “Mendelize” people — to compartmentalize them by physiological traits, such as extremely high or low cholesterol levels, and then look in the extreme groups for variations in candidate genes known to be related to the trait. The pair make a scientific odd couple. Hobbs, who trained as an MD, is gregarious, voluble and driven. Cohen, a soft-spoken geneticist from South Africa, has a laid-back, droll manner and a knack for quantitative thinking. In 1999, they set out to design a population-based study that focused on physical measurements related to heart disease. Organized with Ronald Victor, an expert on high blood pressure also at UT Southwestern, and funded by the Donald W. Reynolds Foundation in Las Vegas, Nevada, the Dallas Heart Study assembled exquisitely detailed physiological profiles on a population of roughly 3,500 Dallas residents2. Crucially, around half of the participants in the study were African Americans, because the researchers wanted to probe racial differences in heart disease and high blood pressure. The team measured blood pressure, body mass index, heart physiology and body-fat distribution, along with a battery of blood factors related to cholesterol metabolism — triglycerides, high-density lipoprotein (HDL) cholesterol and LDL cholesterol. In the samples of blood, of course, they also had DNA from each and every participant. As soon as the database was completed in 2002, Hobbs and Cohen tested their rare-variant theory by looking at levels of HDL cholesterol. They identified the people with the highest (95th percentile) and lowest (5th percentile) levels, and then sequenced the DNA of three genes known to be key to metabolism of HDL cholesterol. What they found, both in Dallas and in an independent population of Canadians, was that the number of mutations was five times higher in the low HDL group than in the high group3. This made sense, Cohen says, because most human mutations interfere with the function of genes, which would lead to the low HDL numbers. Published in 2004, the results confirmed that rare, medically important mutations could be found in a population subdivided into extreme phenotypes. Armed with their extensive database of cardiovascular traits, Hobbs and Cohen could now dive back into the Dallas Heart Study whenever they had a new hypothesis about heart disease and, as Cohen put it, “interrogate the DNA”. It wasn’t long before they had an especially intriguing piece of DNA at which to look. In February 2003, Nabil Seidah, a biochemist at the Clinical Research Institute of Montreal in Canada, and his colleagues reported the discovery of an enigmatic protein4. Seidah had been working on a class of enzymes known collectively as proprotein convertases, and the researchers had identified what looked like a new member of the family, called NARC-1: neural apoptosis-regulated convertase 1. “We didn’t know what it was doing, of course,” Seidah says. But the group established that the gene coding the enzyme showed activity in the liver, kidney and intestines as well as in the developing brain. The team also knew that in humans the gene mapped to a precise genetic neighbourhood on the short arm of chromosome 1. In 2003, the Paris and Montreal groups reported that the French families with hypercholesterolaemia had one of two mutations in this newly discovered gene, and speculated that this might cause increased production of the enzyme5. Despite Seidah’s protests, the journal editors gave both the gene and its protein product a new name that fit with standard nomenclature: proprotein convertase subtilisin/kexin type 9, or PCSK9. At around the same time, Kara Maxwell in Breslow’s group at Rockefeller University6 and Jay Horton, a gastroenterologist at UT-Southwestern7 also independently identified the PCSK9 gene in mice and revealed its role in a previously unknown pathway regulating cholesterol8. Hobbs and Cohen had no further to look than in the extreme margins of people in the Dallas Heart Study. In quick order, they identified the highest and lowest LDL readings in four groups: black women, black men, white women and white men. They then resequenced the PCSK9 gene in the low-cholesterol groups, looking for mutations that changed the make-up of the protein. They found seven African Americans with one of two distinct ‘nonsense’ mutations in PCSK9 — mutations that essentially aborted production of the protein. Then they went back and looked for the same mutations in the entire population. Just 2% of all black people in the Dallas study had either of the two PCSK9 mutations — and those mutations were each associated with a 40% reduction of LDL cholesterol in the blood9. (The team later detected a ‘missense mutation’ in 3% of white people, which impaired but did not entirely block production of the protein.) The frequency of the mutations was so low, Hobbs says, that they would never have shown up in a search for common variants. When Hobbs and Cohen published their findings in 2005, they suggested that PCSK9 played a crucial part in regulating bad cholesterol, but said nothing about whether the mutations had any effect on heart disease. That evidence came later that year, when they teamed up with Eric Boerwinkle, a geneticist at the University of Texas Health Science Center in Houston, to look forPCSK9 mutations in the Atherosclerosis Risk in Communities (ARIC) study, a large prospective study of heart disease that had been running since 1987. To experts such as Steinberg, the results10 — published in early 2006 — were “mind-blowing”. African Americans in ARIC who had mutations in PCSK9 had 28% less LDL cholesterol and an 88% lower risk of developing heart disease than people without the mutations. White people with the less severe mutation in the gene had a 15% reduction in LDL and a 47% reduced risk of heart disease. How did the gene exert such profound effects on LDL cholesterol levels? As researchers went on to determine11, the PCSK9 protein normally circulates in the bloodstream and binds to the LDL receptor, a protein on the surface of liver cells that captures LDL cholesterol and removes it from the blood. After binding with the receptor, PCSK9 escorts it into the interior of the cell, where it is eventually degraded. When there is a lot of PCSK9 (as in the French families), there are fewer LDL receptors remaining to trap and remove bad cholesterol from the blood. When there is little or no PCSK9 (as in the black people with mutations), there are more free LDL receptors, which in turn remove more LDL cholesterol. It wasn’t just that her LDL cholesterol measured 14. As a person with two dysfunctional copies of the gene — including a new type of mutation — Tracy was effectively a human version of a knockout mouse. The gene had been functionally erased from her genome, and PCSK9 was undetectable in her blood without any obvious untoward effects. The genomics community might have been a little slow to understand the significance, Hobbs says, “but the pharmaceutical companies got it right away”. This being biology, however, the road to the clinic was not completely smooth. The particular biology of PCSK9 has so far thwarted efforts to find a small molecule that would interrupt its interaction with the LDL receptor and that could be packaged in a pill. But the fact that the molecule operates outside cells means that it is vulnerable to attack by monoclonal antibodies — one of the most successful (albeit most expensive) forms of biological medicine. Not everyone is convinced that a huge market awaits this class of cholesterol-lowering drugs. Tony Butler, a financial analyst at Barclays Capital in New York, acknowledges the “beautiful biology” of the PCSK9 story, but wonders if the expense of monoclonal drugs — and a natural reluctance of both patients and doctors to use injectable medicines — will constrain potential sales. “I have no idea what the size of the market may be,” he says. “Everything hinges on the phase III side effects,” says Steinberg. So far, the main side effects reported have been minor, such as reactions at the injection site, diarrhoea and headaches. But animal experiments have raised potential red flags: the Montreal lab reported in 2006 that knocking out the gene in zebrafish is lethal to embryos14. That is why the case of Tracy was “very, very helpful” to drug companies, says Hobbs. Although her twin mutations have essentially deprived her of PCSK9 throughout her life, doctors have found nothing abnormal about her. That last point may revive a debate in the cardiology community: should drug therapy to lower cholesterol levels, including statins and the anti-PCSK9 medicines, if they pan out, be started much earlier in patients than their 40s or 50s? That was the message Steinberg took from the people withPCSK9 mutations in the ARIC study — once he got over his shock at the remarkable health effects. “My first reaction was, ‘This must be wrong. How could that be?’And then it hit me — these people had low LDL from the day they were born, and that makes all the difference.” Steinberg argues that cardiologists “should get off our bums” and reach a consensus about beginning people on cholesterol-lowering therapy in their early thirties. But Breslow, a former president of the American Heart Association, cautions against being too aggressive too soon. “Let’s start out with the high-risk individuals and see how they do,” he says. Not long after Hobbs and Cohen published their paper in 2006, they began to get invited to give keynote talks at major cardiology meetings. Soon after, the genetics community began to acknowledge the strength of their approach. In autumn 2007, then-NIH director Zerhouni organized a discussion at the annual meeting of the institutes’ directors to raise the profile of the rare-variant approach and contrast it with genome-wide studies. “Obviously, the two approaches are opposed to each other, and the question was, what was the relative value of each?” says Zerhouni. “I thought the PCSK9 story was a terrific example of an up-and-coming pattern of translational research” — indeed, he adds, “a harbinger of things to come”. Hobbs and Cohen might not have found their gene if they had not had a hunch about where to look, but improved sequencing technology and decreasing costs now allow genomicists to incorporate the rare variant approach and to mount large-scale sweeps in search of such variants. “Gene sequencing is getting cheap enough that if there’s another gene like PCSK9 out there, you could probably find it genome-wide,” says Jonathan Pritchard, a population biologist at the University of Chicago, Illinois. Zhao, Z. et al. Am. J. Hum. Genet. 79, 514–523 (2006). Victor, R. G. et al. Am. J. Cardiol. 93, 1473–1480 (2004). Cohen, J. C. et al. Science 305, 869–872 (2004). Seidah, N. G. et al. Proc. Natl Acad. Sci. USA 100, 928–933 (2003). Abifadel, M. et al. Nature Genet. 34, 154–156 (2003). Maxwell, K. N., Soccio, R. E., Duncan, E. M., Sehayek, E. & Breslow, J. L. J. Lipid Res. 44,2109–2119 (2003). Horton, J. D. et al. Proc. Natl Acad. Sci. USA 100, 12027–12032 (2003). Maxwell, K. N. & Breslow, J. L. Proc. Natl Acad. Sci. USA 101, 7100–7105 (2004). Cohen, J. et al. Nature Genet. 37, 161–165 (2005). Cohen, J. C., Boerwinkle, E., Mosley, T. H. Jr & Hobbs, H. H. N. Engl. J. Med. 354, 1264–1272(2006). Horton, J. D., Cohen, J. C. & Hobbs, H. H. J. Lipid Res. 50, S172–S177 (2009). Roth, E. M., McKenney, J. M., Hanotin, C., Asset, G. & Stein, E. A. N. Engl. J. Med. 367,1891–1900 (2012). Koren, M. J. et al. Lancet 380, 1995–2006 (2012). Poirier, S. et al. J. Neurochem. 98, 838–850 (2006). Stephen S. Hall is a science writer in New York who also teaches public communication to graduate students in science at New York University. The widely used Friedewald equation may be underestimating LDL cholesterol levels in many patients, a study found. Note that 14.6% of the patients in the study were placed into different treatment groups by the Friedewald estimates and direct measurements, mainly due to classification in a lower LDL cholesterol treatment group by Friedewald compared with direct LDL cholesterol. After excluding the patients who had a triglyceride level of 400 mg/dL or greater — in whom there are known limitations of the Friedewald equation — the researchers examined data from 1,310,440 adults (mean age 59) who underwent lipid screening; 14.6% had a Friedewald-estimated LDL cholesterol level of less than 70 mg/dL, the treatment target for high-risk patients. Martin S, et al “Friedewald estimated versus directly measured low-density lipoprotein cholesterol and treatment implications” J Am Coll Cardiol 2013; DOI: 10.1016/j.jacc.2013.01.079. The widely used Friedewald equation may be underestimating LDL cholesterol levels in many patients, researchers found. The discrepancy between LDL cholesterol values that were estimated by the Friedewald equation and those that were directly measured was greatest when LDL cholesterol levels were low and triglyceride levels were high, according to Seth Martin, MD, of Johns Hopkins Hospital, and colleagues. Among patients with a Friedewald-estimated value of less than 70 mg/dL, for example, the directly measured level was a median of 9 mg/dL higher when triglycerides were 150 to 199 mg/dL and 18.4 mg/dL higher when triglycerides were 200 to 399 mg/dL, the researchers reported online in the Journal of the American College of Cardiology. Overall, 14.6% of the patients included in the study were placed into different treatment groups by the Friedewald estimates and direct measurements. This discordance was mainly due to “classification in a lower LDL cholesterol treatment group by Friedewald compared with direct LDL cholesterol,” which occurred in 11.3% of patients, they noted. The discordance was greatest “when accuracy is most crucial, in patients with LDL cholesterol levels in the high-risk treatment range and concurrent hypertriglyceridemia,” Martin and colleagues wrote, noting that because the Friedewald estimates were generally lower than the directly measured values, using the equation could result in undertreatment of high-risk patients. “This phenomenon warrants consideration in contemporary patient care and clinical practice guidelines,” the authors wrote. With the Friedewald equation, LDL cholesterol is estimated by subtracting the HDL cholesterol level and the triglyceride level (divided by 5) from the total cholesterol level. Using the equation avoids the extra time and expense needed to directly measure LDL with ultracentrifugation. Since the equation was introduced in 1972, however, practice guidelines have introduced lower LDL cholesterol targets, and high triglyceride levels have become more common due to the increasing problems of obesity, insulin resistance, and diabetes. To assess the accuracy of the equation in a contemporary setting, the researchers compared Friedewald estimates with direct measurements performed with vertical density gradientultracentrifugation by the Vertical Auto Profile (VAP) from 2009 to 2011. The median directly measured LDL cholesterol level was 109 mg/dL. Lipid distributions were similar to those seen in the National Health and Nutrition Examination Survey for 2007 to 2008, indicating that the study sample was nationally representative. In general, the Friedewald estimates were lower than the direct measurements of LDL cholesterol, and the discordance was greatest among patients with low LDL cholesterol levels and high triglyceride levels. Of the patients with a Friedewald estimate of less than 70 mg/dL, 23% had a direct measurement that was higher than that. That figure rose to 39% when triglycerides were 150 to 199 mg/dL and 59% when triglycerides were 200 to 399 mg/dL. The findings could have implications for patient care, according to the researchers. “While we are not suggesting the need for routine clinical measurement of LDL cholesterol by direct assays, it bears mentioning that multiple direct assays beyond the VAP test [used in this study] are available,” they wrote. They acknowledged some limitations of the analysis, including the possibility that patients who undergo a VAP test may be a special population and the use of one-time LDL cholesterol measurements. In addition, the researchers did not have access to detailed clinical characteristics of the patients or clinical outcomes or information on statin use and fasting status before the lipid test. ARCTIC was designed to compare a strategy of monitoring platelet function at the bedside to adjust antiplatelet therapy to standard of care in patients having drug eluting stent implantation. TRILOGY ACS is an international, phase 3, randomized trial comparing the platelet inhibitor prasugrel+aspirin with clopidogrel+aspirin in medically managed US/NSTEMI ACS patients. 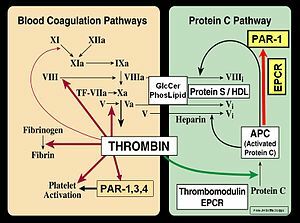 The Trial to Assess Chelation Therapy (TACT) is an NIH-sponsored randomized, double blind clinical trial testing the benefits and risks of 40 infusions of a standard ethylene diamine tetra-acetic (EDTA)-chelation solution compared with placebo in patients with coronary artery disease. FREEDOM – This trial was designed to determine whether coronary artery bypass grafting (CABG) or percutaneous coronary intervention (PCI) is the superior approach for revascularization of diabetic patients with multivessel coronary artery disease. The LoDoCo trial was designed to determine whether colchicine given in addition to standard medical therapy therapy is effective for the prevention of major cardiovascular endpoints in patients with stable coronary artery disease. This trial examines the effects of escitalopram, a selective serotonin reuptake inhibitor (SSRI) , on mental stress-induced myocardial ischemia (MSIMI) in coronary heart disease patients. SOLSTICE (Study Of LoSmapimod Treatment on Inflammation and InfarCt SizE) is a randomized, double-blind, placebo-controlled, parallel group, multicenter phase 2a study to evaluate safety and efficacy of 12-week treatment with 2 dose regimens of losmapimod (GW856553), a potent oral p38-MAPK inhibitor, versus placebo (randomized 3:3:2) in patients with non-ST-segment elevation myocardial infarction (NSTEMI) expected to undergo an invasive strategy. EnligHTN I: This study was designed to study the efficacy and safety of a new radio frequency ablation catheter in patients withdrug-resistant resistant hypertension. 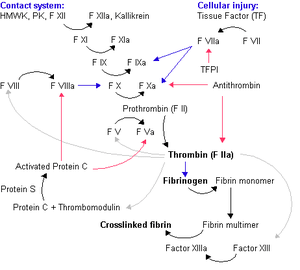 What is the role of plasma viscosity in hemostasis and vascular disease risk? This post is in continuation with posts on basics of NO metabolism and its effect on physiology. Other topics are covered under the following posts. Nitric oxide plays wide variety of roles in cardiovascular system and acts as a central point for signal transduction pathway in endothelium. NO modulates vascular tone, fibrinolysis, blood pressure and proliferation of vascular smooth muscles. In cardiovascular system disruption of NO pathways or alterations in NO production can result in preponderance to hypertension, hypercholesterolemia, diabetes mellitus, atherosclerosis and thrombosis. The three enzyme isoforms of NO synthase family are responsible for generating NO in different tissues under various circumstances. The endothelial NOS (eNOS) is expressed in endothelial cells, the inducible NOS (iNOS) is expressed in macrophages and neuronal NOS (nNOS) is expressed in certain neurons and skeletal muscle. Although the basic mechanism of action for NO production is the same for all three NOS isoforms, yet deficiencies of each one of them manifest differently or with varying severity in the body e.g. eNOS deficiency might lead to hypertension, more severe form of vascular injury to cerebral ischaemia and more severe form of atherosclerosis induced by hypercholesterolemic diet whereas nNOS deficiency might show less severe form of vascular injury to cerebral ischaemia and absence of iNOS might lead to reduced hypotension in septic shock. eNOS production is increased by physiological sheer stress on endothelial cells resulting from normal flow of blood along the arterial walls. Alterations in fluid sheer stress patterns e.g due to arterial constriction has been shown to have detrimental effect on eNOS production in endothelial cells. eNOS production is decreased by LDL, angiotensin II and TNF alpha. eNOS is tightly coupled enzyme and its activity can be significantly reduced by reduction in availability of cofactors and substrates, and by competitive inhibitors such as ADMA. Furthermore, uncoupling of eNOS can result in increased production of reactive species of both oxygen (superoxide) and nitrogen (peroxinitrite), which inturn can further reduce eNOS bioavailability. A range of therapeutic targets aim at increasing bioavailability of eNOS and they are summarised here. Increased production of ROS and peroxinitrite is associated with endothelial dysfunction. Coronary heart disease risk factors may increase NOS mediated ROS formation and peroxinitrite formation. Such risk factors are associated with decreased NO production levels in the vasculature. However, recent data suggests that reduction in bioavailable NO levels in the arteries could be due to increased local oxidative stress rather than reduction in basal NO production. oxLDL can uncouple eNOS and reduced uptake of L-ariginine that can lead to production of superoxide radical oxygen. 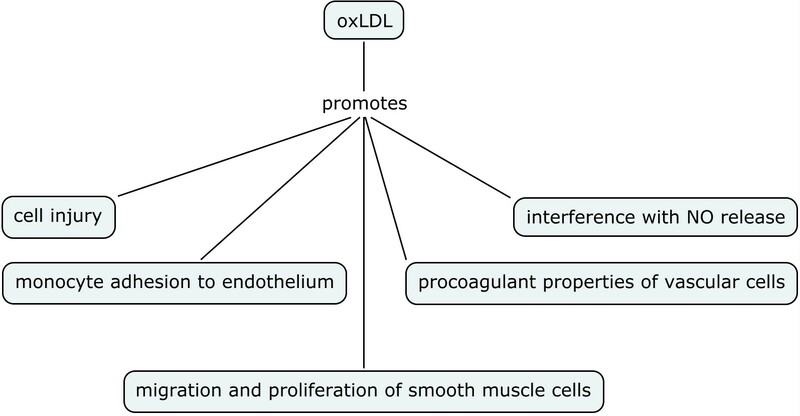 OxLDL can interfere with NO production and lead to altered NO signalling in the vascular endothelium. In addition, different arteries can be affected differently by these physiological changes e.g. oxLDL affects carotid artery and not the basilar artery thereby implying that intracranial arteries might be protected from endothelium-mediated oxidative injury and hence atherosclerosis. And finally NO can modulate oxidation mediated apoptotic signals in the vessel wall. Hence atherosclerosis can result from the derangement of fine imbalance between NO bioavailability and local oxidative stress. The above list is not exhaustive, but this post here summarises recent developments in therapeutic targets in NO /eNOS regulation.